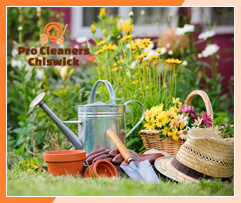 We are proud to introduce you our professional gardening services in W4 Chiswick at a day and time convenient to you. Our gardeners are very experienced and they are capable of managing with a wide range of tasks that will improve the look of your lovely garden. We have long collaborated with recognised gardening specialists that will offer to your attention the latest modernities in gardening designs. We have set flexible working schedules which means that you can book our great gardening services due to your working schedule. We guarantee that you will be content with the gardening services that we are able to provide. No matter of the condition of the garden, we are ready to apply our innovative technologies and to make your home atmosphere more welcoming than ever. 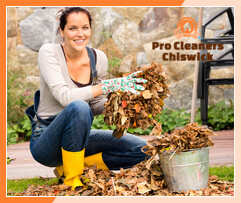 Trust our competent gardening specialists and book our gardening services in W4 Chiswick to receive the utmost care for your garden. We are ready to listen to your requirements and to take them into account. Our employees are very responsible and consistent in their work and they will apply each procedure in a careful manner and up to the set standards. 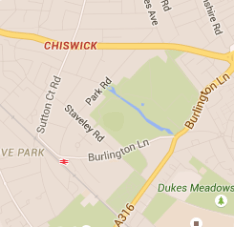 We assure you that we can give the best advice for the design of your garden in Chiswick London. We can organise excellent consultations with our gardening specialists at a day, suitable for you. Thanks to the eco friendly equipment that we apply we, you can be sure that your garden won’t be damaged in any way. Choose our professionally done gardening services and we promise punctuality in every aspect and very tempting offers.